The 2017 University of Indianapolis Athletics Hall of Fame inductees were honored in a ceremony Saturday, Feb. 11. 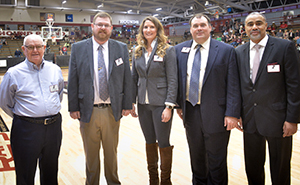 This year’s Hall of Fame inductees were introduced at halftime of the men’s basketball game against Rockhurst University, with the induction ceremony following at the Schwitzer Student Center. If you’ve ever dreamed of quitting your job to start a winery, you’ll first want to read Jim Pennell’s Local Vino: The Winery Boom in the Heartland. Local Vino: The Winery Boom in the Heartland by Prof. James Pennell will be available in stores March 6, 2017. 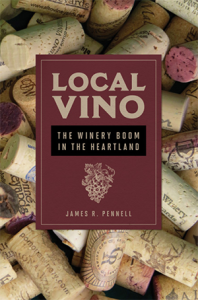 Pennell, a professor of sociology at the University of Indianapolis and Co-Director of the Community Research Center, explores the challenges and rewards of operating a winery in his new book published by the University of Illinois Press. Now in his 19th year teaching at the University of Indianapolis, Pennell specializes in social and institutional change, organizations and work, social theory and qualitative research methods. “I wanted to honor the winery owners. They’ve done an amazing thing,” said Pennell, who spent five years chronicling the success of Midwestern wineries in Indiana, Illinois, Iowa and Ohio. He visited 64 wineries in the course of his research. Etchings Press at the University of Indianapolis has announced the winners of the 2016 Whirling Prize. winners in the categories of prose and poetry. Helen Klein Ross won the 2016 Whirling Prize in Prose for her work “What Was Mine.” Ross’ work has appeared in The New Yorker, The New York Times and in literary journals and anthologies. Amy Ash, an assistant professor at Indiana State University, won the Poetry prize for her work “The Open Mouth of the Vase,” which is her first full-length collection. Both Ross and Ash will read excerpts from their work at the 2017 Kellogg Writers Series event later this month, with a book signing to follow. The event, scheduled for 7:30 pm on Monday, Feb. 27, in Schwitzer’s UIndy Hall C, is free and open to the public. 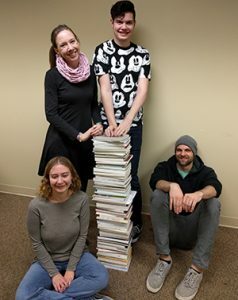 University of Indianapolis students reviewed 83 submissions to select the winners. This year’s prize welcomed submissions of published books written by women or books that feature leading female characters. 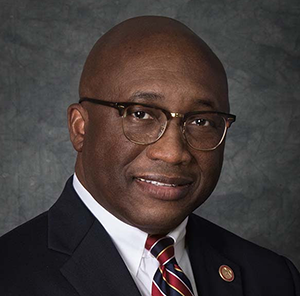 (INDIANAPOLIS) – Stephen Kolison, Jr., Ph.D., a distinguished higher education executive, scholar and researcher, has been appointed Executive Vice President and Provost for the University of Indianapolis. Kolison’s appointment follows an extensive national search and comes at a time during a strong trajectory of growth and expansion for the University. Kolison, who since 2008 has served as the associate vice president for Academic Programs, Educational Innovation, and Governance for the University of Wisconsin System Administration, will lead more than 550 faculty for the University, which boasts an enrollment of more than 6,500 undergraduate and graduate students and is ranked among the top Midwest Universities by U.S. News and World Report. He brings to the role a strong record of research and success in implementing system-wide policies to increase degree productivity, expand learning opportunities for non-traditional students and foster innovative and effective teaching methods to increase student learning and educational success. 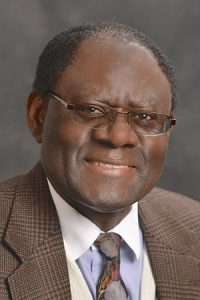 He also has a proven record of securing research funding as principal investigator and co-principal investigator, including more than $25 million in grants from various sources while at Tennessee State University and at Tuskegee University. The prestigious Fulbright Scholar Program has a new liaison on the University of Indianapolis campus. Peter W. Vakunta, Ph.D., recently was appointed as the University’s Fulbright Scholar Program liaison by the Council for International Exchange of Scholars, a division of the Institute of International Education. Vakunta, an assistant professor of French & Francophone Studies, is chair of the University of Indianapolis’ Department of Global Languages & Cross-Cultural Studies. He is also director of the Multicultural Engagement and Global Awareness (MEGA) Center. While a Fulbright scholarship brings accolades for recipients, Vakunta says that the honor also enhances the academic climate of the university. In January, the University of Indianapolis hosted a robotics championship, a discussion on sustainable energy and a printmaking exhibition. Volunteers packed 54,000 meals for the hungry and a UIndy research team made the news. Check out the video to see what else UIndy students and faculty were doing in January. 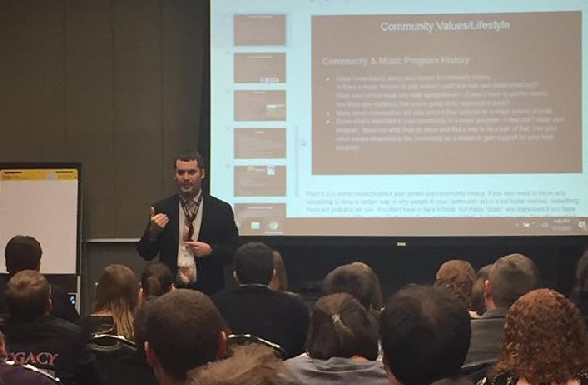 The University of Indianapolis chapter of the National Association for Music Education (NAfME) recently was named the Outstanding Collegiate Chapter of the Year for Indiana. The honor is the fourth time the local chapter has received the award. 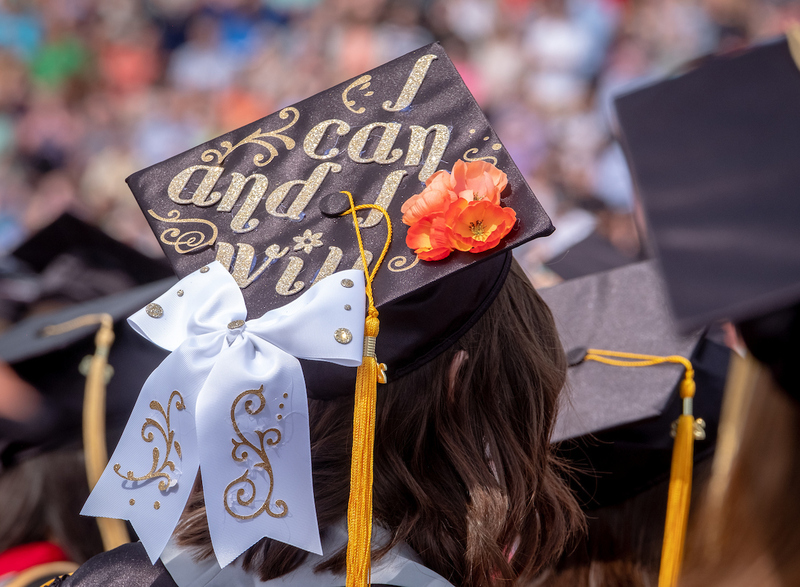 The NAfME award recognizes the University’s community outreach efforts to bring future music educators into classrooms, along with the program’s achievements throughout the year. University student-teachers impact up to 700 Indianapolis Public Schools students every year by assisting teachers in classrooms. The local chapter received the award at the Indiana Music Education Association/NAfME conference this month in Fort Wayne. The recognition “validates everything that we as a faculty do and helps put UIndy on the map. It sets us apart from other universities,” said Brenda Clark, chair of the University of Indianapolis Music Education Department. In addition to the chapter awards, juniors Charissa Catlin and Shaina Liv Lescano, both instrumental music education majors, were two of five undergraduates from Indiana to receive the Outstanding Future Music Educator Award. With these awards, the University now boasts a total of 16 music education students who have been honored in the past decade.